It is very rare that all the shamans at a retreat center speak both Spanish and English, educated enough to know two languages, and have studied the traditions with elders and offer ceremonies in the ancient traditional ways. This is a very unique and rare opportunity to connect directly with the shamans yourself, with no translator needed! Our Shamans Speak Spanish & English! Very Rare! 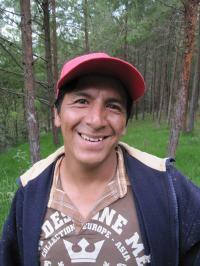 Salvador is 41 years old and has been practicing shamanism for 18 years. He learned to carry Ayahuasca ceremonies through study with the Shuar tribe of Ecuador’s Amazon forest. He received the blessing of the Shuar elders to share the Ayahuasca (Natem) medicine with others. In the 18 years that Salvador has been practicing shamanism, he has completed many sundances and vision quests. He also helps others in their shamanic vision quest training and still attends sundances in Ecuador and Mexico. He continues to study the medicine ways with respected elders in Ecuador, Venezuela and Mexico. Salvador is also certified in the ways of the Red Road (Native American Medicine) and works with not only Ayahuasca, but also San Pedro (Aguacoya / Huachuma) in Ecuador. He is also blessed by the elders to carry sweatlodge ceremonies. Salvador supports Sofia in the sweatlodge ceremonies. Salvador facilitates Ayahuasca, San Pedro, and sweatlodge ceremonies in Ecuador, Venezuela and Mexico. We are very fortunate to have such an experienced, well traveled shaman on our healing team to work with you. His ceremonies are magical, beautiful and life changing. His songs will move you gently through the medicine ceremonies and his compassion will melt your heart! Amalia is a very skilled shamana who does the cleansing sessions (limpias) at the beginning of the 12 and 7 day retreats for those who sign up for them. Her work is amazing and we recommend you sign up for one! It’s a great way to start a medicine retreat and prepare for taking the medicines. Amalia does her work with a lot of love, a mother’s touch and the ability to see exactly what a person needs. She is also skilled with carrying medicine ceremonies in a beautiful way. She often works with Salvador in ceremonies and together they are an amazing team of shamans. Amalia sings intuitively and brings just what is needed to the ceremony. She carries the medicine with grace and ease and everyone feels secure and safe in her care. When you meet Amalia you will see why everyone loves her! She is a wonderful woman full of love and care for others, and she is really there for people in the ceremony in a good way, especially if they are having a difficult process. She does everything with love and she knows what she’s doing! Born on July 30, 1973, Sofia’s work with health and healing began when she decided to study clinical psychology and has been working as a psychologist since 1997. She continued training as a humanist therapist, as well as in other types of individual and group modalities. Within the work of traditional medicine she learned the medicine of the Red Road, the fire of Itzhachilatlan, and also trained in “biodanza” and ancestral medicines. Since 2005 she carried Chanupa, the Sacred Pipe of the Northern Traditions. She finished her 4-year cycle of vision quest, did 8 sundances and 7 dances of the Spirits. Since 2006, Sofia has been running sweat lodges and continues to this day to bless people with her special medicine magic. She brings a beautiful feminine touch to the world of shamanism. Paulina was born in the city of Cuenca, Ecuador, learning the ancient traditions and working with native people. They gave her a sacred name, Quilla Pakari. In traditional Quechua language it means Moon Dawn Tshunki Nua, and in traditional Shuar language, Keeper of Freshwater. She feels in her heart a great responsibility to these traditions and serving them. Her life mission is to serve our life-giving water, earth, fire, and wind. In this exchange of knowledge, finding a state of true inner peace is a goal in her work with the people. Paulina works in the Ayahuasca ceremonies with Salvador, singing Icaros the way an angel would. 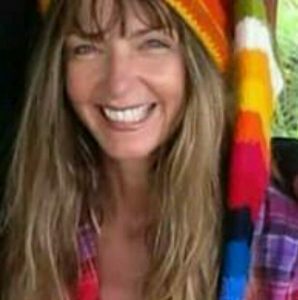 She is beautiful inside and out, caring for the people in a truly heartfelt way, and brings the feminine energy to the Ayahuasca ceremonies, a skillful shamana indeed. 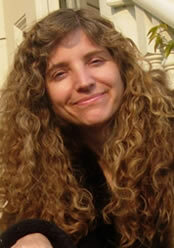 Christine Breese is the founder of Gaia Sagrada in Ecuador and University of Metaphysical Sciences in California, USA. She has long been working on both University of Metaphysical Sciences, and Gaia Sagrada in Ecuador. She is also a huachumera, a shamana who works with San Pedro, blessed by the elders to carry the medicine. She sometimes works in the 2nd San Pedro ceremony of the 12 day retreat and everyone loves her strong medicine and enlightening ceremonies. It is one thing to learn about spiritual concepts, but quite another to experience the spiritual worlds directly. Christine feels it is important to offer people an opportunity to meet the master within, which plant medicines make possible in a way that no other method can offer. It takes many, many years of meditation practice to experience the inner worlds this way. Christine Breese calls the medicine path the shortcut, the preview to the movie of what your mind and heart can really “see” once you have been practicing meditation and soul travel for a lifetime. Shamanic plant medicine ceremonies offer soul travel through the universe within even if a person has never meditated before. Christine feels it is good for a person to experience that which he or she is aiming for. Christine chose Ecuador because shamanic ceremonies cannot be offered this way in the USA. It was no small matter to make it possible in Ecuador either, as Ecuador is more highly regulated than Peru. Shamans in Ecuador must be approved by certain organizations and be highly qualified to practice their trade. That is why Ecuador is a much safer place to do ceremonies than any other. Christine Breese chose this beautiful country so people would truly be in safe hands while journeying toward deep healing. 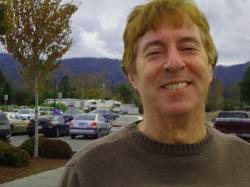 Bruce is from California and has been a supporting force for Gaia Sagrada since the beginning. He believes each person has an individual path, and the way for that person to find the path to Source is deep within. Only the individual can find Source, as no one can tell you how to find God. You yourself must go within and God is then revealed to you through your own consciousness. When errands of all sorts need to be done, Bruce is there. We call him Señor Seguro because he is always making sure everything is safe and secure. He is always standing by as the straight man during ceremonies to make sure anything that comes up can be handled, anything people need can be gotten, and if someone needs help he’s the go-to guy! If you want to meet a guy with a big heart, he’s the one. He keeps things light and has a terrific sense of humor. If you ever need anything, Bruce is here to help! Originally from Chicago, USA, Jerry has worked in corporate sales in New York City and Sydney, Australia for most of his professional career. He connected with Ayahuasca several years ago and immediately realized his calling to work with the medicine to support people. He spent time in the amazon jungle before coming to Gaia Sagrada, and has been a wonderful manager since his arrival. If anyone can figure something out or meet your needs, Jerry can. Jerry manages the operations and retreats at Gaia Sagrada including the bookings & communications, making sure all the guests are supported and happy. Jerry keeps Gaia Sagrada running efficiently and smoothly. His energy is high and is always available to the guests and staff for whatever they may need. Jerry is one-of-a-kind, and we couldn’t run things at Gaia without him. We love you Jerry! Sinclair was born in Amarillo, Texas, but spent the last 20 years working in nonprofit operations, communications, and volunteer management in Austin. In 2016, she went to Burning Man for the first time, discovered her inner goddess, and decided to rebuild her life and career and travel the world. Now, she’s a year-round staff member at Gaia, and also designs websites, makes delicious skin care products, and loves creating costumes. She first came to Gaia as a guest, and then volunteered with us as a WEX before coming back as a staff member and manager. Sinclair is a Yoga Alliance 200RYT and teaches workshops, yoga, and meditations at Gaia focused on self love, self care, and helping people uncover their authentic purpose. Sinclair is deeply connected to the medicines, especially San Pedro, and she serves as the gatekeeper in our San Pedro ceremonies. Through the healing power of plant medicine, Sinclair continues to learn from her spirit teachers – the spider, the rainbow, and the lotus. She loves forming lasting friendships and connections with the guests, and helps Jerry manage the operations so that everything runs smoothly. Most of all, she loves to have fun, share music, and dance! We love you Sinclair! Emily grew up in the Lake District, UK. She spent 10 years working as a Research Ecologist, specializing in understanding birds’ movements through GPS tracking. Alongside this she developed an interest in the manifestation of consciousness and how we hold trauma in our bodies, which eventually led her to Gaia Sagrada as a guest, and then as a work exchanger, then staff. Emily has a keen interest in sound healing, and works with singing bowls, drum, voice and rattles. She also uses a variety of bodywork techniques. She loves keeping fire and singing in ceremony, and creating art – beadwork, jewelry, clothing, instruments and anything else that inspires her. Emily’s presence at Gaia makes every day full of songs and laughter! John grew up outside Washington D.C. and spent his childhood playing music, sports, and loving being outdoors. He struggled with addiction in his teenage years and early 20s. He got clean in 2010 and started pursuing what he thought would be a fulfilling life. He went back to school, graduated with a degree in kinesiology, won a national medal in Olympic weightlifting, got a nice job, and moved in with his girlfriend. He thought this checklist of accomplishments would bring him a happy life. However, he was feeling more depressed than ever. It was around this time he first heard about the medicines. Sitting with the medicines opened him up to a part of himself that he had closed off his whole life. He felt the connection that we all have to everything around us, and felt for the first time a Higher Power/God/Universal Consciousness/Great Spirit (or whatever you want to call it) living within him. He has dedicated his life to be of service to helping those seeking that connection within themselves through the medicines. John facilitates at Gaia Sagrada by providing meditation, counseling guests, providing integration plans, keeping ceremonial fires, and maintaining the facilities. You can hear his laughter echoing no matter where you are on the land. We love John! We all love Carol so much! She is funny, wise, kind, sweet, and has the coolest southern accent you ever heard. She makes the kitchen hum, which is the heart of any retreat center, and she makes food taste better than you can imagine it could taste. She is a wonderful leader who everyone adores and she makes absolutely everything fun. When you meet Carol you will truly enjoy her company and companionship. She is a very wise woman and has helped many people find the better version of themselves, and helps us learn how to laugh at ourselves in the process and lighten up. Carol is one of the loveliest people you will ever meet! Staff & Volunteers: The Angel Dream Team! We have at all times 15 staff and volunteers to help you with all your needs during your stay at Gaia Sagrada. They take care of you during ceremonies, between ceremonies, and support you with lots of love, laughter, and give you a shoulder to cry on if you need one! Our staff and volunteers are always available. We call them the Angel Dream Team, here to help you with your journey through our ayahuasca retreat. We have all kinds of beautiful and creative people who come through on our volunteer team, and they are all interesting and sweet in their own ways. Take some time to enjoy their company while they keep everything at Gaia Sagrada running smoothly. Feel free to get to know these wonderful souls and make some new life long friends. We have several more staff members who are a little bit shy on the internet, but you will meet them when you get here! Victor and Angel, brothers, maintain Gaia Sagrada and fix anything that comes up to be fixed. They are also the ones who run the building crew, who built Gaia Sagrada including all the rooms you sleep in, the kitchens where we make your food as well as all the patios, the sauna and the hot tubs where you can relax and enjoy. Benigno, Jose, and Cesar are the right hand guys of Victor and Angel and when things need to get done, they are the ones to call on. They live here in the Ecuadorian community around us and are our neighbors as well. Benigno rides his horse to work every day so you will see his horse grazing in the fields of Gaia Sagrada when he is here! I just submitted a volunteer application and joined your facebook group! I’m super grateful that I found find this website. Hello, Is any information available on 2019 Retreat dates? Hello, my name is Gloria and I am looking to do a couple Ayuhuaska and San Pedro ceremonies, but not a retreat. I am visiting family in Ecuador and have limited time. I have partaken Ayuhuaska before. If you would be so kind to point me in the direction of someone authentic, more concerned with the healing and not the monatary gain would be great. Sadly ceremonies in US are being exploited. Thank you graciously for your time! Hello, Yes! Salvador is of course still with us!